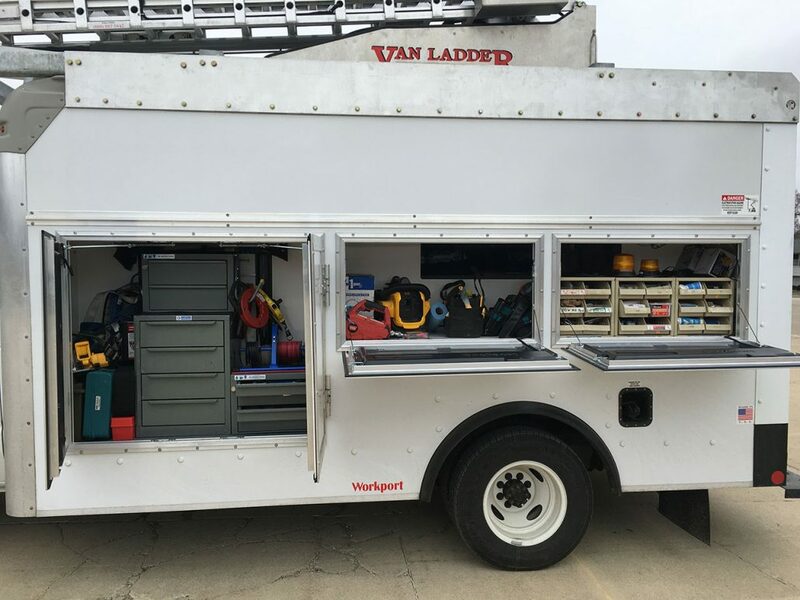 The unique geometry of the Van Ladder creates a bucket truck that maintains valuable inside cargo space. 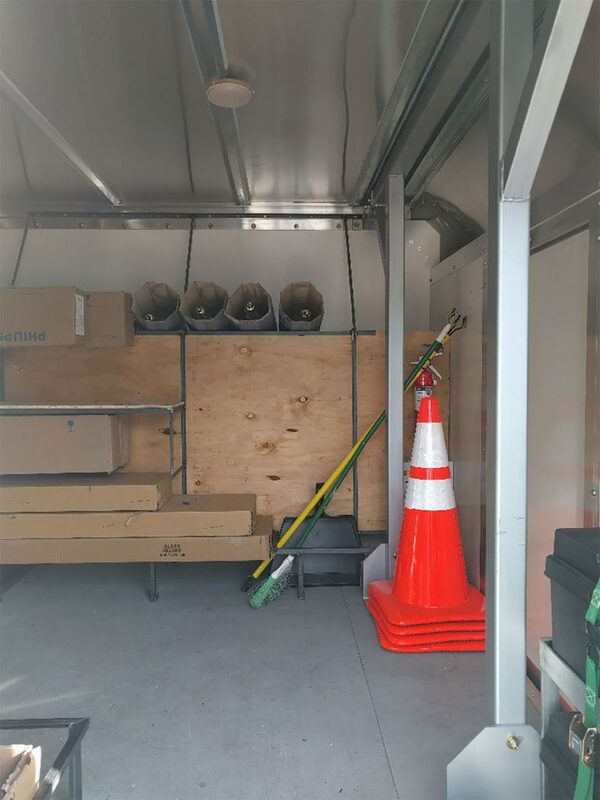 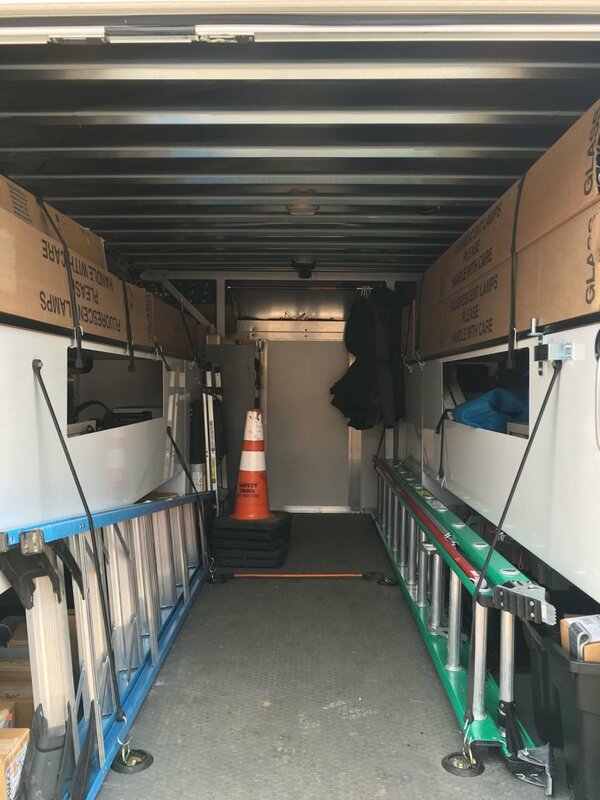 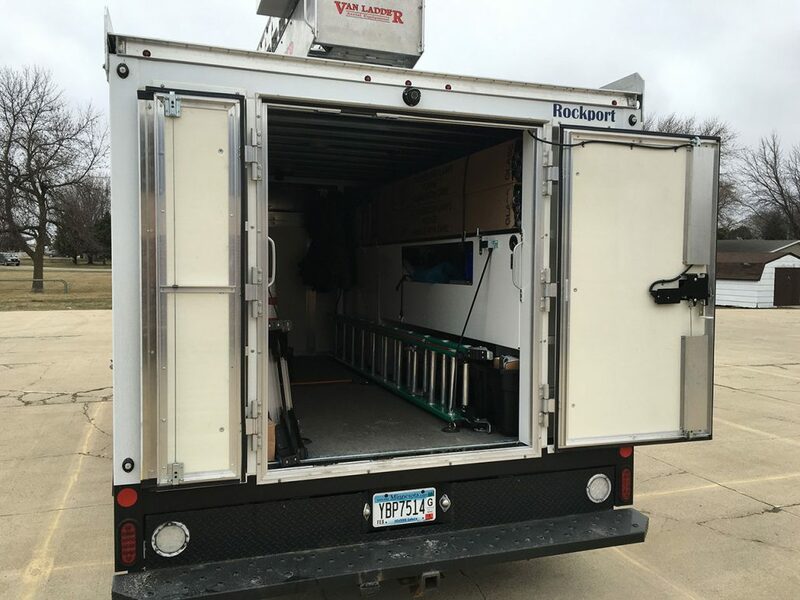 The enclosed vehicle bodies keep tools and materials in a secure environment that is protected from outside elements. 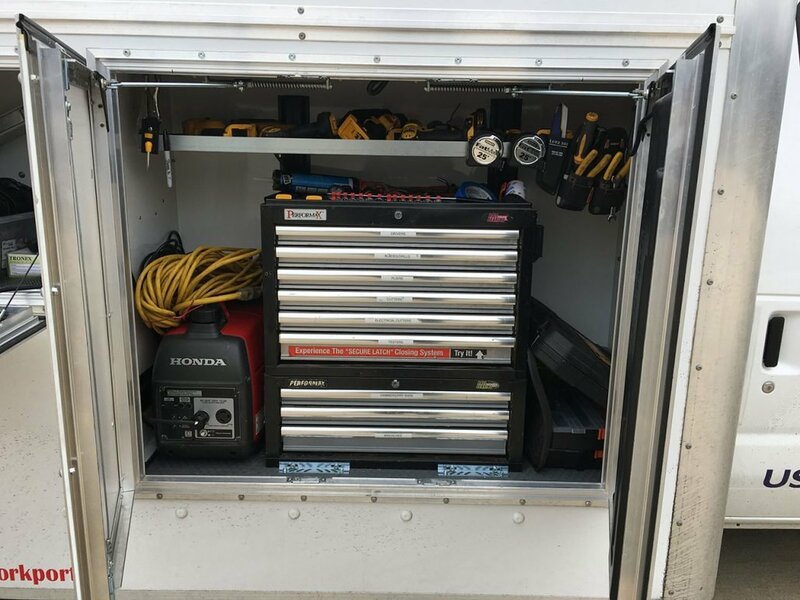 Compartments or shelving systems allow for quick and easy organization to keep you working, not searching. 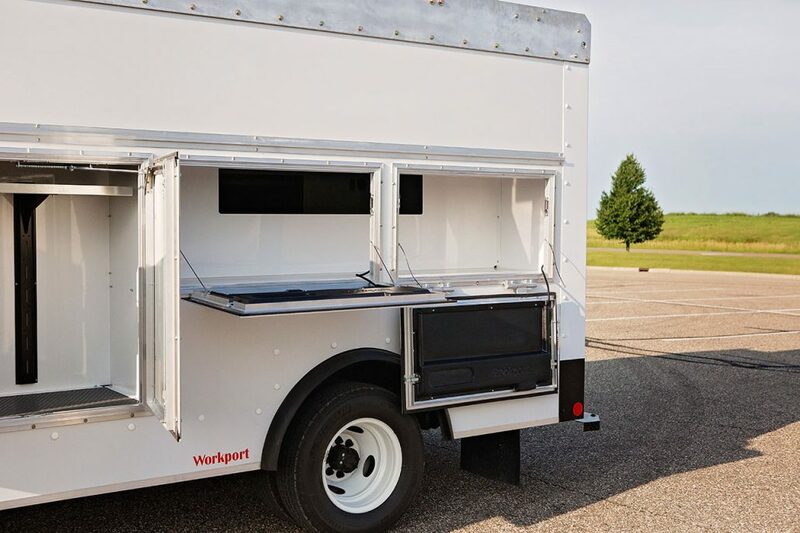 Standard vehicle packages utilize a support structure that has been engineered to maximize useable space inside the body. 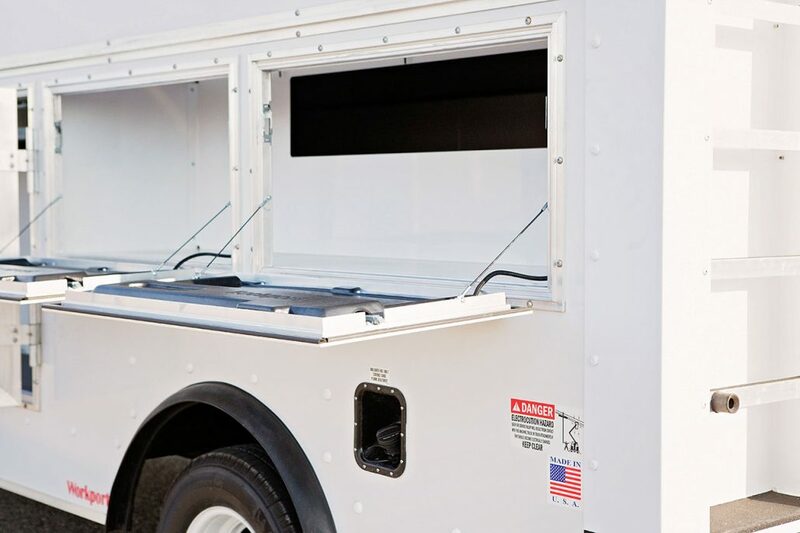 This efficient design means the remaining vehicle payload also remains high. 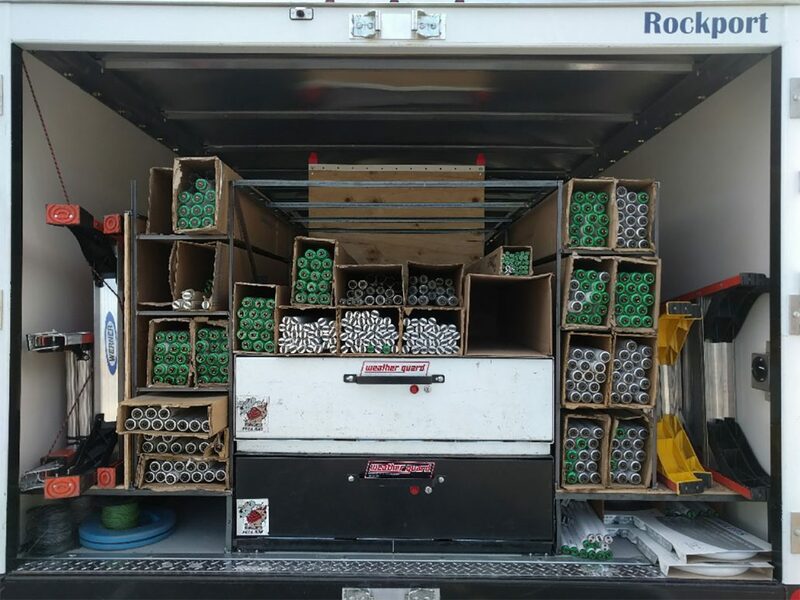 Load up with everything you need for multiple jobs and streamline reloading time between jobs. 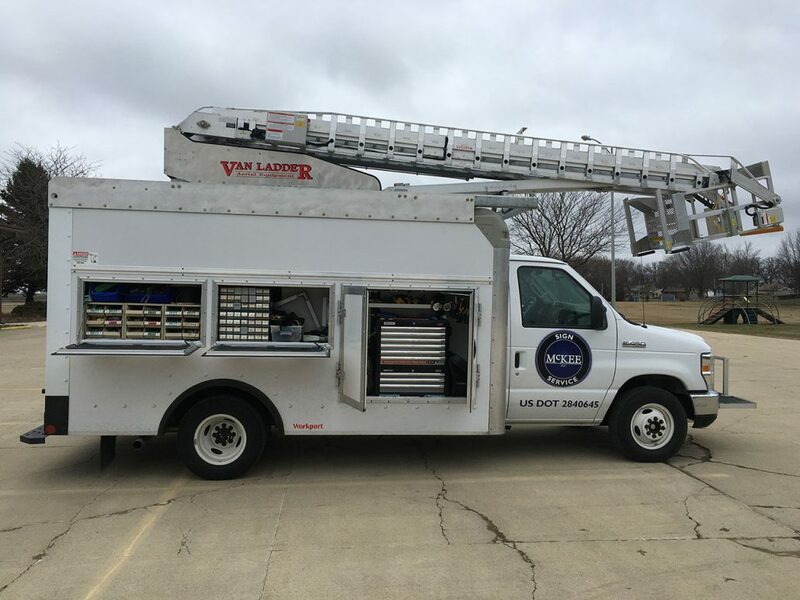 Wondering where to put those ladders that you still need from time to time? 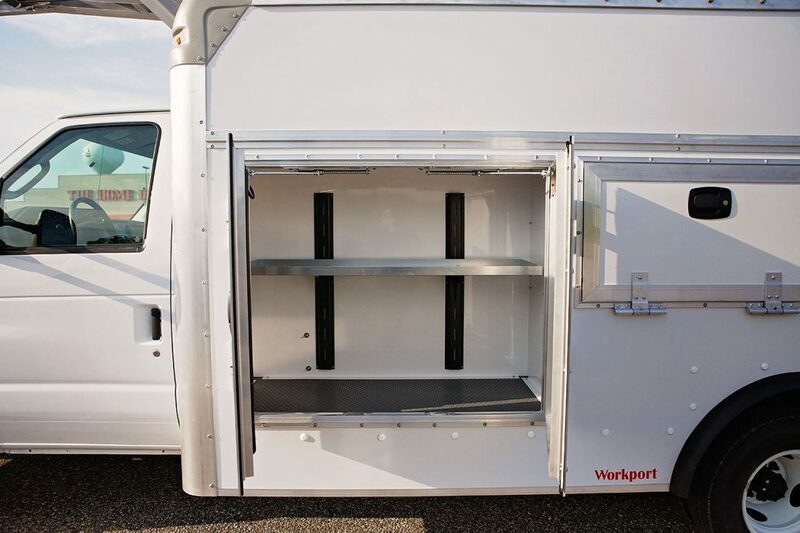 Workport packages come standard with integrated ladder tie-down systems to secure them inside and out of the way. 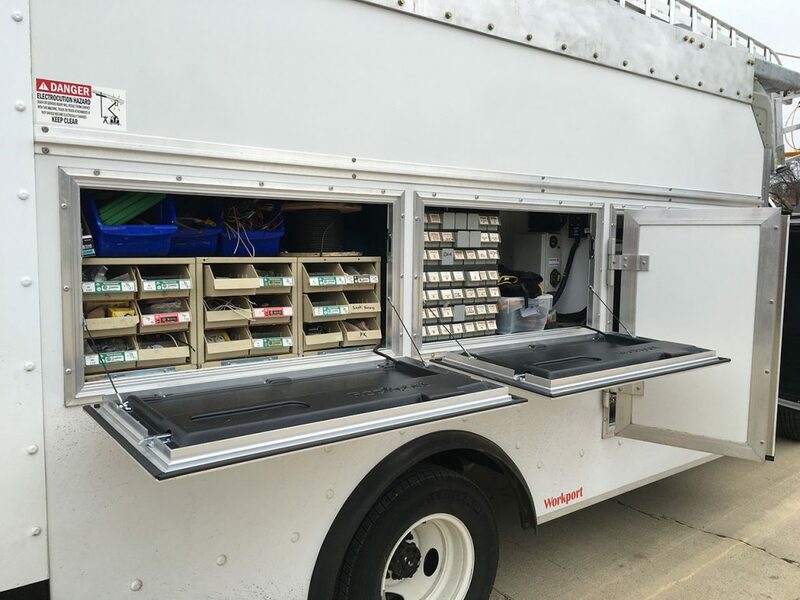 Vehicles can also be customized for your specific applications. 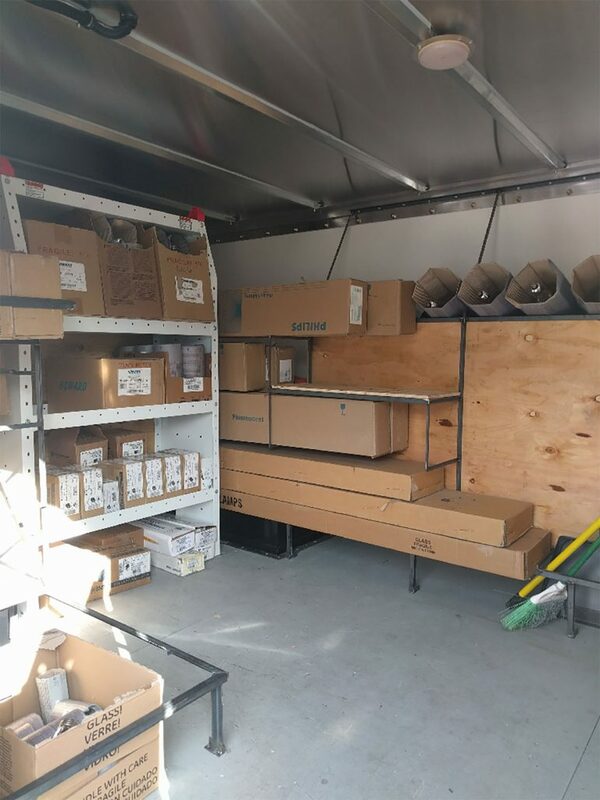 Contact our friendly staff to discuss what vehicle body type is right for you!